Extremely popular worldwide, this richly flavored red offers a range of styles depending on where it is grown. 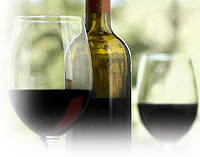 Originally from France’s Rhone Valley region, it now plays an important role in many countries, most notably Australia. Syrah has the potential for a range of flavors depending where it is grown but usually offers lots of berry fruit (typically black), cherry liqueur, smoky tarry notes, and almost always a black pepper spiciness. Zesty full-flavored dishes such as barbequed ribs, steak, burgers, and Mexican casseroles. Barbequed ribs, steak, burgers, braised pork, and stuffed peppers. Hearty lamb and beef dishes, rabbit with mustard sauce, spicy Moroccan tomato and chickpea stew.